Are you looking to save thousands on the purchase of your next home? Well Look no further, this home qualifies for a No Closing Cost Loan. 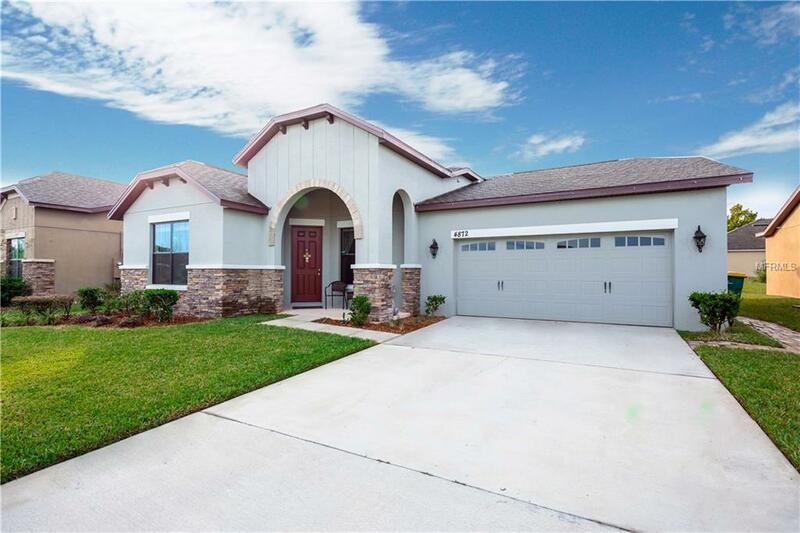 Here is your opportunity to own this affordable move in ready home located in the family friendly neighborhood of Doral Pointe. Upon entering you welcome an open and airy layout and a Newly painted interior with a soft color palate to compliment everyones taste. Throughout the main living areas; Formal living room, Formal Dining Room, and Family room you have carpet and recess lighting. The kitchen features granite counter tops, tile back splash, 42 cabinets, sleek appliances, walk in pantry and breakfast bar. Master en-suite is equipped with a large walk in closet, Dual vanity marble top sinks, and a walk-in shower that is fully tiled from floor to ceiling. This home offers the desirable split bedroom floor plan to provide peace and tranquility among the house hold .The 3 additional bedrooms are very spacious with carpet, ceiling fans and wired for cable. Out of the 4 bedrooms only 2 rooms share a nicely appointed bathroom. Through the sliding glass doors you have a 16x10 patio with the upgraded extended roof for coverage. Seller offering a HOME WARRANTY with American home shield. Community features a community pool, play ground and dog walk park. Centrally located to shopping and major roads. Conveniently located to Sun rail allowing for an easy commute to downtown Orlando. Schedule your private showings today!